Call us at 407-271-8931 today. Welcome to Southwest Orlando Eye Care, where we provide comprehensive family eye care for residents of Southwest Orlando and the surrounding Florida communities. We invite you to learn about the mission of our Orlando optometrist, Dr. John Nowell, and the services we offer. 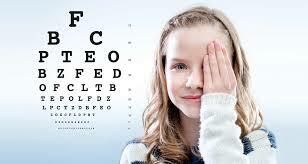 Eye Exam - Our comprehensive all-ages eye exams make sure your eyes are healthy at every age. We begin by screening your eye health, checking for evidence of ocular diseases, and doing preventative testing. Once we are satisfied your eyes are healthy we will check your vision. We can adjust your prescription, talk about your vision and eye health, and make sure you feel comfortable. Contact Lens Exam - Before you can switch from glasses to contacts, you must have a contact lens exam. In the exam, we measure your eyes, fit you for contacts, choose contacts that meet your vision needs, and demonstrate proper care. Glasses - If you need eyeglasses or sunglasses, we invite you to browse our optical shop. Our skilled technicians can adjust your glasses and help you find your perfect pair. Pre and Post consultation for eye surgery - Are you thinking of getting LASIK or another eye surgery? Come in for a consultation and learn about the procedure. If you choose to go ahead, we will schedule it with an eye surgeon, perform all pre-surgical care, and help you recover after surgery. Keracotonus treatment - Keratoconus is a corneal eye condition that causes blurred, distorted vision. We can help with corrective lenses or glasses. At Southwest Orlando Eye Care, we strive to stay up-to-date with technologies that can maintain your ocular and vision health. Our care is personalized and of the highest quality. As we say, "Your Vision Is Our Focus." Our eye doctor team is made up of Super Technicians. These vision professionals are both Opticians and Optometric Technicians, so they can do a lot more to help take care of your vision and eye health. So you always have an eyecare professional by your side, we make sure one of our Super Technicians is with you for the duration of your eye appointment. You can get needed information from the Super Technician, ask questions, and really have a dedicated resource in your corner. 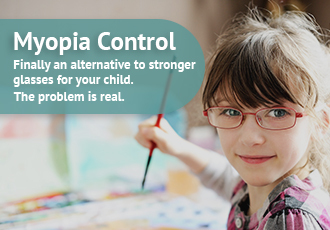 We believe this unique approach allows us to provide the best quality eye care for all our patients, from pediatrics to older adults. Our Orlando eye doctor, Dr. John Nowell, is an Orlando native who has proudly served his Florida community for over 25 years. Dr. Nowell sees our optometry patients, provides volunteer eye care services in the Orlando area, and enjoys fishing in his spare time. Would you like to make an eye care appointment? We invite you to make your appointment online or call our staff at 407-271-8931. We look forward to helping you see clearly! "I have only positive things to say about Southwest Orlando Eye Care. The staff is very professional and knowledgeable about their services. My first visit felt like my tenth visit. Dr. Nowell and his staff made me feel comfortable that I can trust them taking care of my eye care needs"
"It was an excellent first visit for both my husband and I. We are pleased to be new patients"